Now they say that there is a subatomic particle which can travel faster than the speed of light. If confirmed the laws of Physics will have to be re-written. I find particular delight in such new scientific evidence, since humans have a tendency to pontificate when they think they know absolute truth. All it takes is a new experience, a new test, to administer a dose of humility and a re-evaluation. 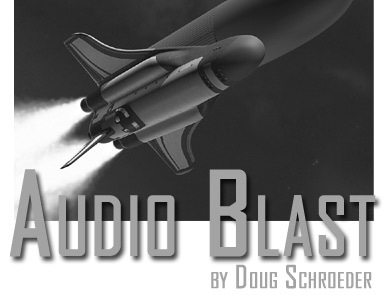 Perhaps another “truth” of audio needs to be exploded – that 24bit 192kHz is as good as digital sound gets. 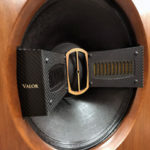 As I first acclimatized myself to the Eastern Electric Tube DAC Plus, the update to the very popular and affordable 32 bit cruncher by designer Alex Yeung, I smiled widely. In one instant my artificial “ceiling” on my system’s potential had been obliterated, while simultaneously reinforcing my conviction that 24 bit DACs have seen better days – 32 bit is the hot new technology in DACs. It’s funny how we get trapped in our conceptions, such as the supposed limit of how good an audio system can sound. Whether we want to or not we tend to set ceilings, hypothetical limitations, on how good an audio system can get. So many times I have heard breakthroughs which blast right past those mental barriers (sort of an Audio Blast). 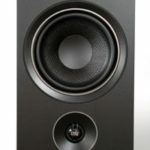 I have tried to consciously resist setting them, and yet it happens to every audiophile. 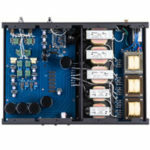 When the affable Bill O’Connell of Morningstar Audio, the distributor for Eastern Electric in the U.S., sent the latest version of the Minimax DAC, now named Tube DAC Plus, I was privately concerned whether it would outperform the Opamp-enhanced original. A truly fair comparison would be to the stock unit, but a new and improved version besting the previous stock unit is not as much fun. But if it bests the hot-rodded original then it’s really worth talking about! If it was inferior or marginally better I would be forced to conclude that it was an upgrade with limited efficacy; perhaps even a debatable improvement. You might be tempted to say, “It just looks like a bunch of ‘fine tuning’”, and you would be half-right. But if you thought that such tuning results in a marginal to average improvement you would be entirely wrong. After all, it looks virtually identical to the previous-generation production model in pictures. In actuality, the Plus unit is about 25% wider and deeper than the first, and it is roughly one third heavier. The layout on the front is similar and operation of the DAC is the same; LEDs indicate Power, OPERATE, PHASE (power phase inversion), TUBE (tube/solid-state) operation, and Signal (indicates lock on a digital source’s signal). The backside similarly is uniform with the previous version, allowing for AES/EBU, BNC, Coaxial, Toslink, and USB inputs spaced out physically a bit more generously. The DAC is still only single-ended (RCA) cable compatible, but at the price point this can be forgiven as true balanced operation would add substantially to the unit’s cost. Affordability seems to be a priority in Alex’s designs, and the DAC Plus (MSRP $1,100) is consistent with that philosophy. The Plus continues to be a tube DAC, supplied with one Shuguang 12AU7 output tube, the same one that came with the previous version. Tube rolling was efficacious with the previous model and was as well with this model. In the brief time of use of the Plus I rolled in a Siemens silver plate 12AU7 and heard a brightening and lightening of the sound palate. A slight smear and veil were removed from the music, but I felt that the bass, though cleaner had slightly less heft than with the Shuguang. With clinical sounding gear the stock tube might be preferred, but if one is seeking ultimate incisiveness, maximum detail especially in the treble without being slapped in the face, the Siemens is a lovely choice. At the request of Bill I have eschewed discussion of Opamp rolling here; it seems that no matter how many times warnings are given there are some who will try to take a soldering iron to their unit – completely unnecessary as explained in my articles about this unit – to its detriment, then suggest that the distributor is somehow liable for righting the incompetent DIYer’s wrongs! 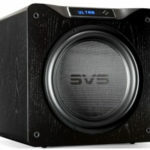 Apart from my official opinion of this piece shared here I may Opamp-roll the Plus version later; if I do I may post my impressions on audiophile forums. My understanding is that one set of Opamps is now soldered, leaving only one set remaining as “socketed” for swapping. Though I have not had the unit a long time I have used it with two systems, one comprising the King Sound The King speakers driven by a pair of Pathos Classic One MkIII integrated amplifiers in mono configuration, the other guided by the VAC Signature Preamplifier MkII running into the Pass Labs XA160.5 monoblocks (currently under review), and the King speakers. The transport has been a respectable Denon 2910 and cabling has been Clarity Cable’s Organic series and Vortex power cords. The digital cable was also Clarity Cable’s Organic Digital .5M. I typically take a longer period of time to write about a component, but it takes only a short time to render an initial assessment on a striking product such as this. I will state unequivocally that I have had the Pathos amps and King speakers in no less than 10 discrete systems ranging from $20 – $70K, and they have never sounded anywhere near as compelling as with the Tube DAC Plus. 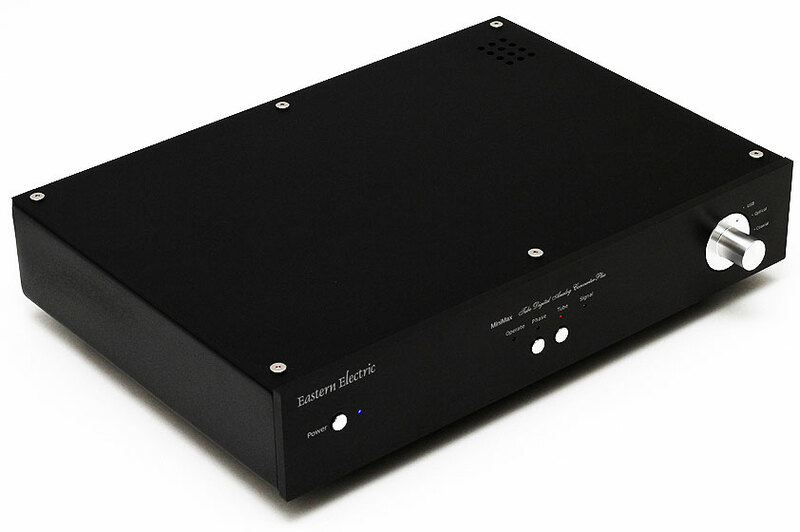 I told one acquaintance on the phone, “This DAC can perceptually lift a rig’s sound $50k,” and I mean it. Those who have not put too many systems together will scoff at a statement like that, but those who know system building inside and out will not laugh. They will try it for themselves and find out I’m not exaggerating. I know because I built those other approximately $70K systems and with the Tube DAC Plus the $20K rig sounds holistically better. As a formality it needs to be said that the reliability of this unit is unknown. The previous version had a few units displaying problems with signal lock, which was immediately addressed by Eastern Electric. However, this new one has been without fault operationally. Its characteristic sound and inherent performance capability is immediately obvious.